A San Francisco couple with a growing family knew they couldn't stay in their current situation in Noe Valley for much longer. Their single-story property was built above a garage, and it lacked the space and cohesive layout they desired. But rather than move to a new area, the couple decided to try to make the most of what they had — even if that meant major changes to their house. 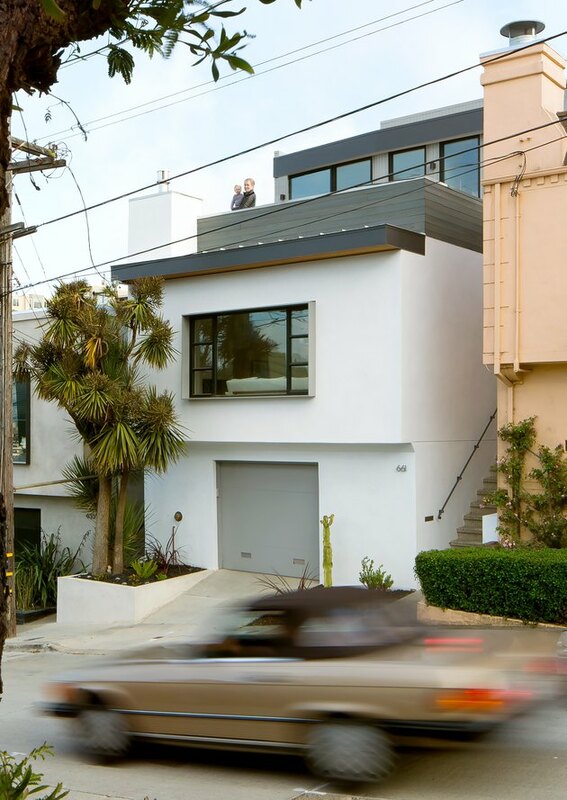 Patrick Perez of Designpad Architecture devised a plan to expand the address by excavating the basement and adding a third story. "It was important to have an open floor plan, a smooth connection to the rear garden, and view of the city," he said. The lower level now has a cozy living space off the garden, while the main floor was opened up for a living room, kitchen, den, and dining room. 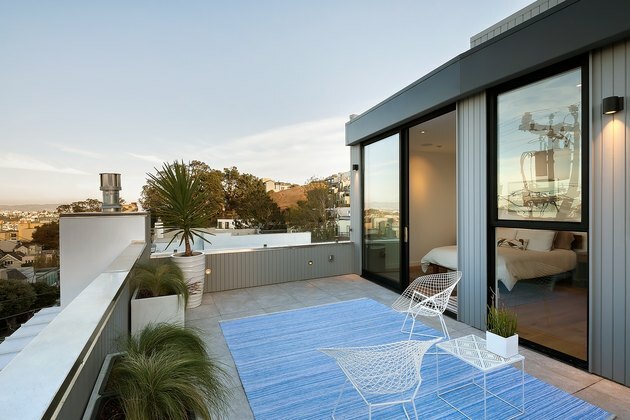 Lastly, the new third floor has three bedrooms — giving the couple and their two children privacy — and a roof terrace with spectacular city views. And because Perez decided to keep the materials uncomplicated, choosing warm woods and durable polished concrete floors for the lower level, the home feels bright and airy. It's just the type of place for a fresh chapter to begin. "The home was one of several on the block that were built by the same builder sometime in the 1940s," Perez said. "They each had a simple flat facade with a fairly large window looking out to the view. We kept that look, but updated it and made it a bit more modern with a larger window and pronounced trim." 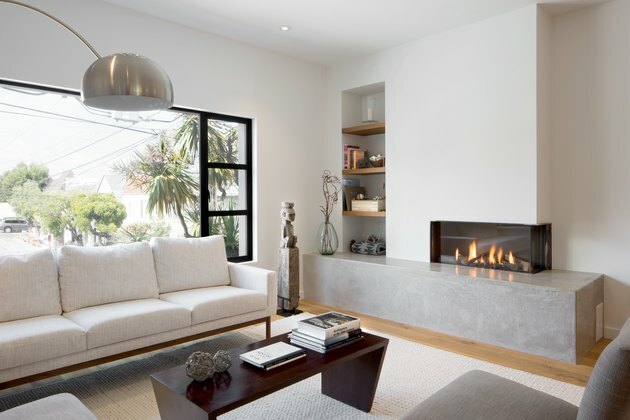 The concrete fireplace hearth complements the living room's subdued palette and minimalist furnishings. 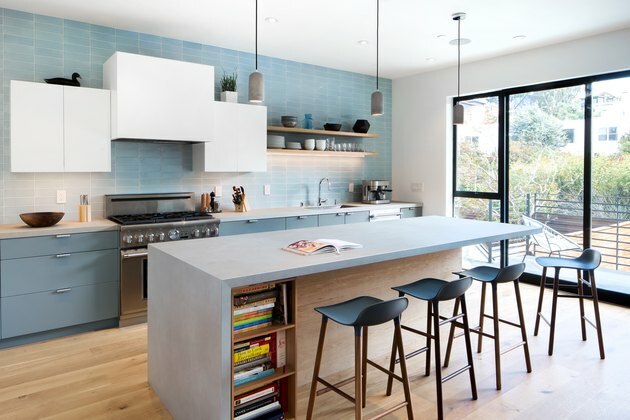 Sky blue tiles by Fireclay Tile brighten the kitchen, which connects to a new deck. The island is topped with a Neolith counter and includes storage for cookbooks. Cedar paneling warms up the den, and the polished concrete floor connects the space to the garden beyond. The new levels are connected by a steel staircase with oak treads. 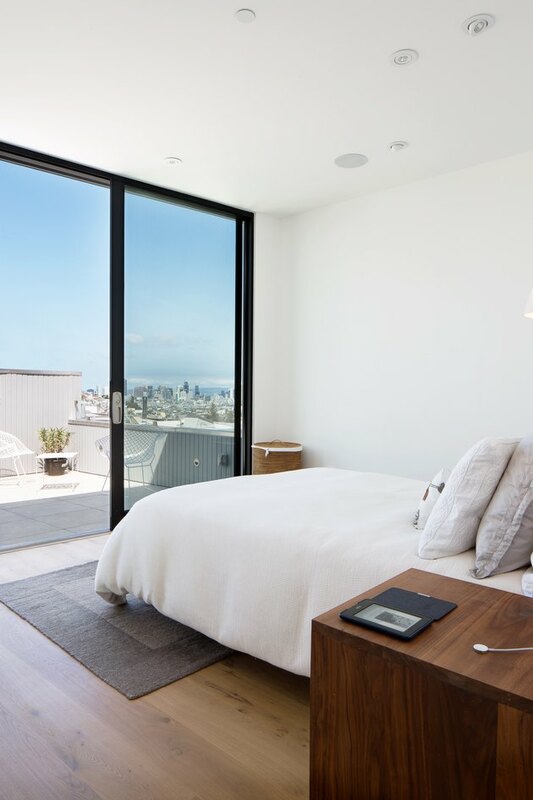 The design of the master bedroom was kept simple, allowing the views from the roof terrace to be the focus. Greenery and amazing views make the home's roof terrace an oasis at any time of day. 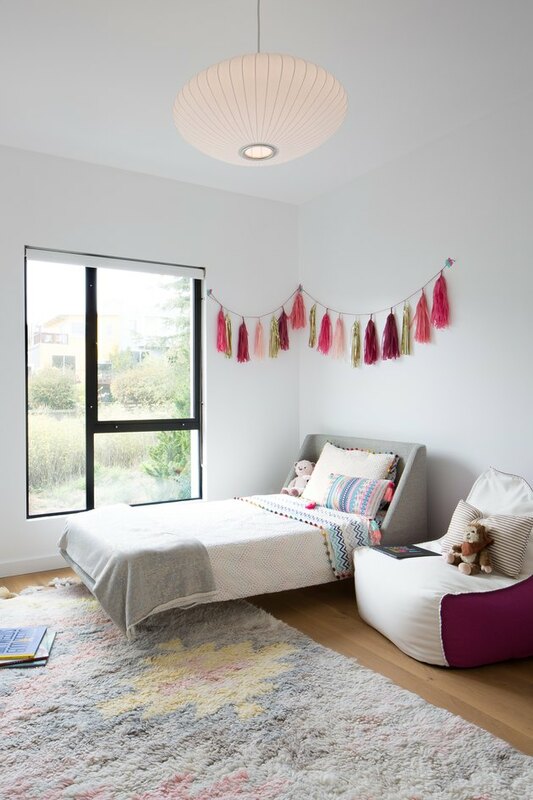 A George Nelson pendant lamp illuminates a cheery kid's room. "Midcentury modern was an inspiration, and it helped inform the material choices for the rear facade," Perez said.